Senate finance has determined that Sen. Mike Duffy must reimburse the red chamber for $16,955 of disallowed expenses or face an arbitrator within 15 days. The money will be deducted from Duffy’s paycheques if he does not repay by July 23, or opt for arbitration by former Supreme Court justice Ian Binnie, according to The Canadian Press. Earlier, a committee had determined that Duffy must reimburse the government for $10,000 in payments he made to a personal trainer, a $500 payment to an office volunteer, a $300 payment to a makeup artist and more. Duffy argued in court that the personal training expenses were justified, because he was the “guinea pig” in the development of a seniors' fitness program that he envisioned airing on public television. Duffy was found not guilty last spring of all 31 criminal charges laid against him. Donald Bayne, Duffy’s lawyer, told CTV News last month that the Senate owes Duffy $155,868 in salary missed after his suspension on Nov. 5, 2013. 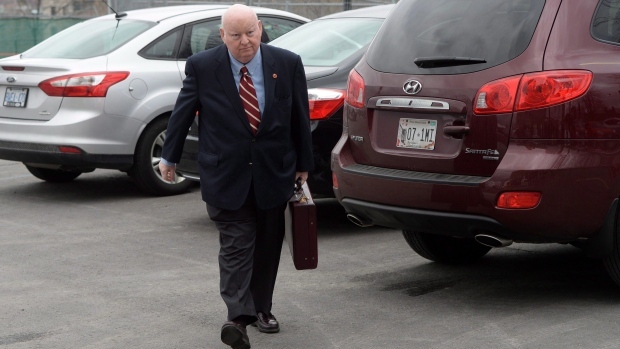 Duffy was one of 30 senators that Auditor General Michael Ferguson found had been wrongly reimbursed for expenses. “The Senate is adhering to the independent Dispute Resolution Process that was implemented in May 2015 in exactly the same manner it has with every other Senator,” according to the statement from Sen. Housakos and Sen. Cordy.